Submit your email to our mailing list. (Look near top right corner of site.) You will get new post updates only. No daily spam. There are many benefits to lifting weights. Too many to list here, but, one of the best things about strength training is that there is always a way to challenge yourself. Whether it's poundage progression, timed sets, ultra-high reps, or a new workout routine, you can always find a way to make your training both interesting and challenging. Getting older presents its own form of a challenge. Hoisting the Iron as we get older is not for the faint of heart. A famous weightlifter once said that it takes a very brave man to lift heavy weights. I would double-down on that statement by saying that it takes a brave man to lift heavy weights as he gets older. 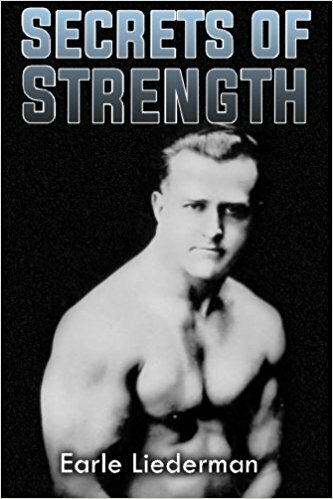 There are many great examples of strength athletes who have defied the odds, and continued to train at a high level of intensity at an age when many people would be content to engage in nothing more strenuous than golf. Al Oerter, Bruno Sammartino, Norbert Schemansky, Jack LaLanne, and, of course, John Grimek are just some examples of legendary athletes who have inspired countless trainees over the years, myself included. 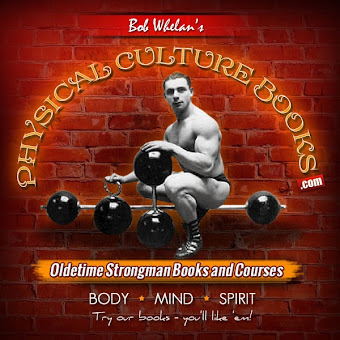 It is because if my admiration for the legends of the Iron Game, and also my appreciation for the spirit of old-school Physical Culture, that I have tried to complete a "Birthday Challenge" every year for the last twelve years or so. The actual challenge has usually consisted of selecting one or more movements and perform as many reps as possible over a set period of time. Over the years I've flipped heavy Strongman tires done high-rep Deadlifts, walked long distances with a Weighted Vest, and done various Atlas Stone workouts. This year, I decided to incorporate the use of heavy Anvils into my workout. And, since this was my 53rd birthday, the number 53 would play a big part in this year's challenge. Each movement was to be done for a total of 53 repetitions. Lifting Stones has become a staple of my birthday challenges. There is just something about lifting a granite stone from the ground, and then shouldering it. The rough granite tears the skin on my forearms, and leaves my shoulder bruised, and my body fatigued, but there is a feeling of satisfaction after completing a demanding workout. 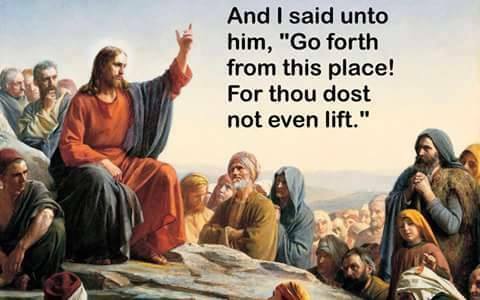 Normally, I try to lift stones every 10-14 days. Of course the weather plays a role in when I can train, but the warmer weather always brings about more frequent stone workouts. And the numerous holes/craters in my backyard will attest to the fact that Summer and Stones go hand in hand! When it comes to pressing Anvils overhead, I am still something of a newcomer to the game. In fact, I never did Anvil Presses until recently. During the last week of June, I had the pleasure of training with Steve Weiner. 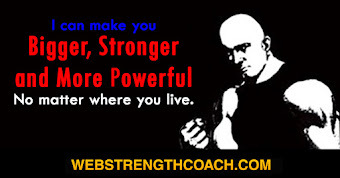 Steve is a professional Strongman, a Certified Captain of Crush and a very powerful man. He's also true gentleman, and was kind enough to invite me to train at his home. After doing several sets of heavy Deadlifts, he had us doing Anvil Presses with his anvil. Even though it was my first attempt at lifting anvils overhead, I was instantly hooked. Lifting heavy anvils overhead has now become something of a challenge for me. My immediate goal is to clean and press my 185 anvil. So far my best is 167 Lbs. for five reps. 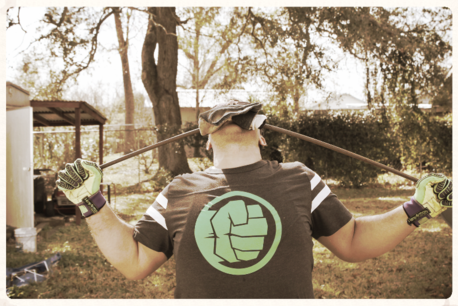 I've had my Ironmind Headstrap since the early 90s. The importance of neck work has been widely commented on by many strength coaches over the years. 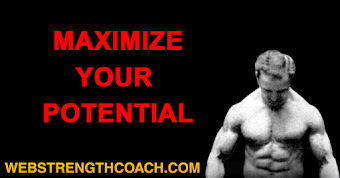 I've always believed in training the neck with as much enthusiasm as one would train any other body part. 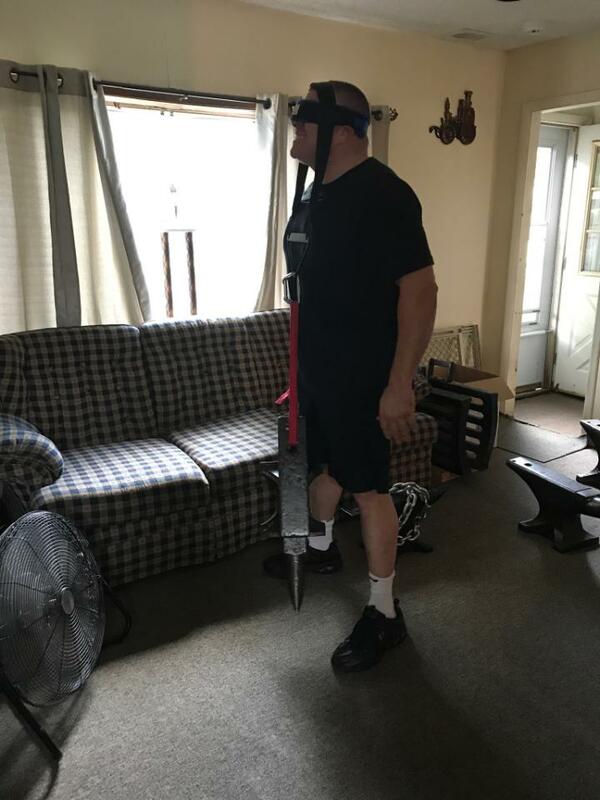 And while there are many quality neck training machines on the market, I still think that utilizing a quality Headstrap is the easiest, and most effective way to strengthen and develop the muscles of the neck. My 135 Lb. Anvil was a the perfect size to challenge myself and at the same time maintain strict form. Cheating, sloppy form, or jerky movements when performing neck work is an invitation to injury. The 100 Lb. Anvil Curl is an "oldie but a goodie" for me. I have never liked doing regular curls. Whether it was barbells, or dumbbells, curling has never been an exercise that has held much interest for me. However, for some reason, doing Anvil curls makes the movement at least a little interesting. The final movement of my challenge, the York Krusher, was done as an homage to the spirit of York Barbell. 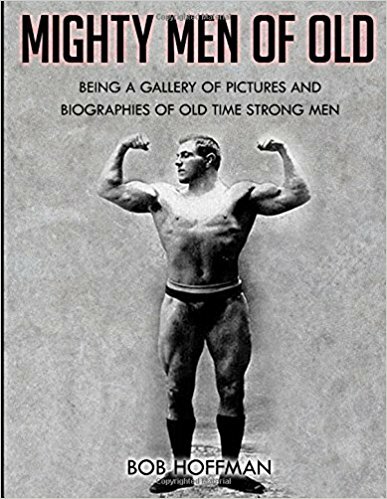 How many older lifters have been inspired by Strength and Health, and Muscular Development? How many trainees got their start with York weights? I just thought that my vintage York Krusher would be a great, and unique, addition to the workout. Thursday July 20 was a hot, humid day. I knew that I would have to be adequately hydrated both before-and during- the workout. The workout itself was simple. I would do the movements in two groups. The first group was Stone, Anvil Press, and Headstrap. I did the exercises for 5-6 reps at a time. For example, I'd lift the stone for six reps, then proceed to the Anvil Press, then do the Headstrap. I would then rest for a minute and then repeat the cycle until I hit 53 reps in each movement. The hardest part was the stones. Because of the stone rolling after each rep, and the need to get proper footing for each rep, it took longer to complete a set with stones than with the other exercises. But the reps themselves went smoothly. For all the movements. It wasn't until I hit the upper thirties that I began to feel fatigued. And, of course, the hoy weather required that I change my shirt about halfway through. After I completed 53 reps in the first three movements, it was on to the last two: Anvil Curl, and York Krusher. The curls, after the Stones and Presses, were brutal. I did the same rep scheme as the first cycle. Sets of 6-8 curls, immediately followed by the Krusher. The Curls became especiallydifficult once I hit 30 reps. I really had to fight through the last 20 reps or so. The Krusher actually felt easy after struggling with the curls. But, after a lot of work, sweat, and fatigue, I was able to complete the workout that I set out to do. Following the workout, I felt as though I had been hit by a truck. I was (barely) able to text Steve Weiner to tell him that I was finished ( in more ways than one!) Each year, there seems to be a point during my challenge when I ask myself if it's all worth it. And, every year, at the conclusion of the workout, I answer with a resounding: "Yes! It certainly was!" As I lifted the corner of the beast and pushed the immense metal frame forward with considerable might; I was thanking God that I lifted. If I were weak, I could not have accomplished this feat. It was more than being strong but an awareness of bodily power and being in harmony with my muscles which told me how much I could load them with. Let me tell you why I’m having to lift an orthopaedic bed. For those of you unfamiliar with such a bed, it boasts a heavy metal frame with several motors set along its structure. We were having a new carpet fitted by two strong fitters, twice the size of me, who move furniture for a living. When they came to my father’s bedroom and adjoining shower room they hit upon a problem. The bedroom is small and with the bed taking about half the space in it, they could not lay and fit the carpet. Normally they would be willing and able to shift furniture but when confronted by an expensive contraption of metal, which if broken would leave them liable, they understandably declined. So we were stuck. I needed the room carpeting and rather than arguing I knew it fell upon me to deal with the bed. I first attempted to disassemble it, however the screws were so worn that the bolts would not come out despite using an electric screwdriver. The only other solution was brute force manipulation of the bed into the shower room. I managed to deadlift it over onto its side and lifted the corner of the hulking bed and pushed the immense metal frame forward with the other end having a carpet piece to protect the wet room floor. After some heavy pulling and pushing I was triumphant. In the end, the room was carpeted and I managed to get the bed back in place. 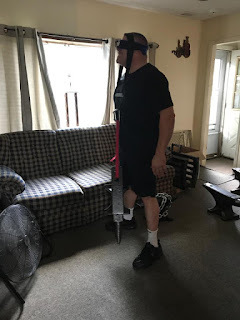 I know a number of contributors to Natural Strength talk about odd object lifting but this is the first time I had tried a facsimile of it and the following day I felt like I had been hit by a truck! I was hurting in a very different way from my regular workouts and appreciate how difficult it can be. This brings me back the title of the Article “Real World Fitness?” I regularly see a Chiropractor who is very knowledgeable and has helped me immensely. 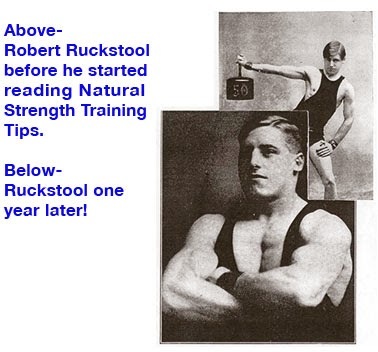 I started to see him because of Stuart McRobert’s advice in Beyond Brawn and he noticed I train and has described me as stocky (which is a testament to the power of iron as I was a scarecrow when I started lifting weights.) We were talking about exercise and he was encouraging me to do more cardiovascular work as I neglect such training especially when busy with work. He said heavy weight training in a sense is not for real world fitness because generally for most people, including myself, you are not lifting heavy objects these days but cardio fitness will impact more every day. He is right but I’ll rather have might and muscle and not need it than not have might and muscle and need it. There may not be many everyday occasions in which you would need might and muscle but don’t be found wanting. 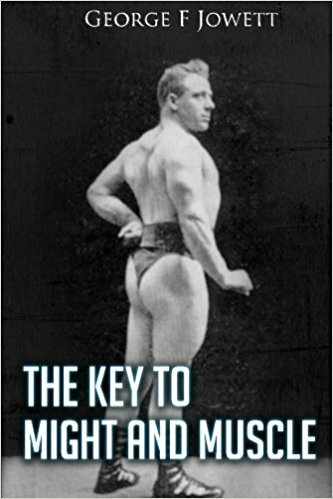 Gain mastery over your body and gain contentment and true enjoyment of living as, Hackenschmidt urges.